Hai kur mamashu chis was first published as a bilingual Spanish/English edition in Chile in 2005, and it quickly sold out. I am pleased to announce that we were able to publish an English-language edition here in North America in the fall of 2013. 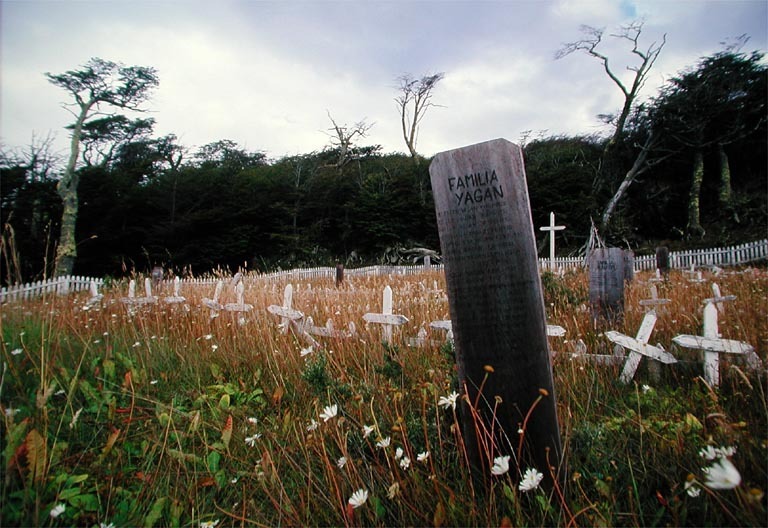 Hai kur mamášu čis, or “I want to tell you a story,” is how the Yagán (or Yámana) people of southernmost Patagonia used to refer to their story-telling. 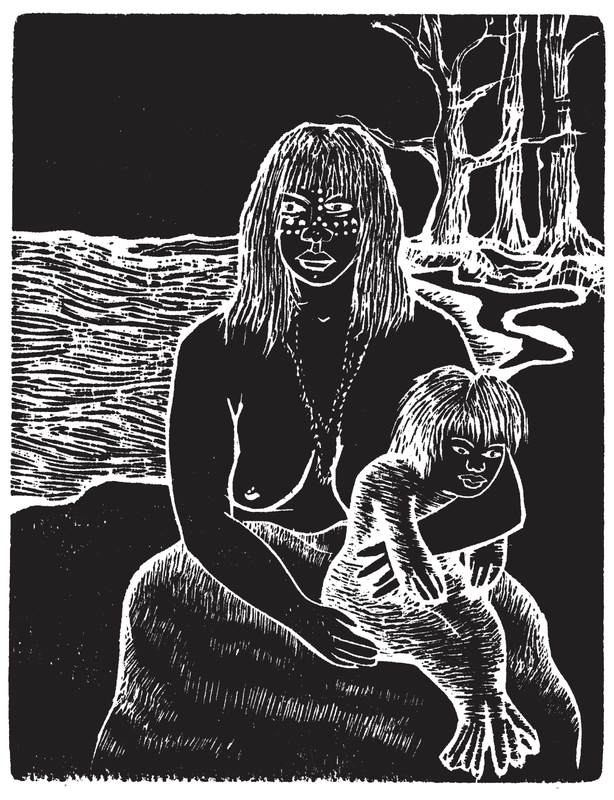 Hai kur mamášu čis is the time when the birds used to be humans, and perhaps also the time before there was an understanding of all that exists, of even ourselves. The deeds in these stories – the values and anti-values, the tricks and heroic actions – all lead to the transformations, to the idea of some sort of beginning. 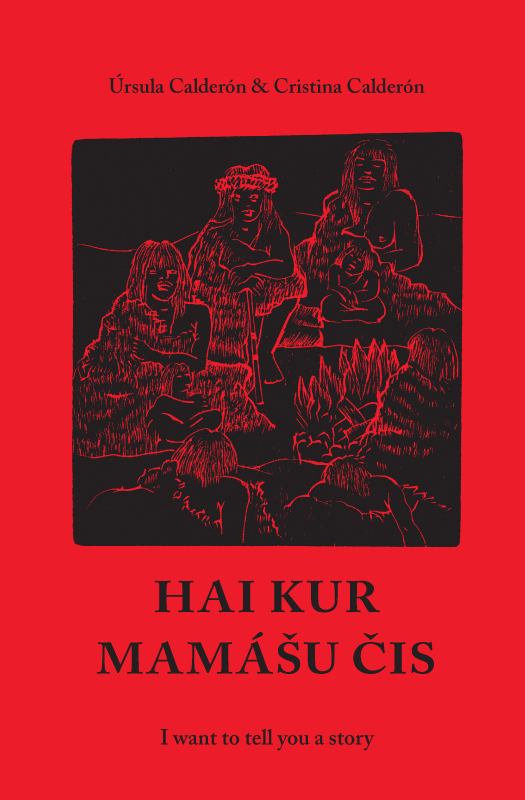 Hai kur mamášu čis is ancient wisdom, stories passed down orally since the beginning of time by the ancestors, and passed down today through the voices of the grandmothers Úrsula Calderón and Cristina Calderón. Hai kur mamashu chis means “I want to tell you a story” in the Yagán language. It is a collection of tales that Cristina Calderón and her late sister heard in their native Yagán language as children, and that they have told to their granddaughter Cristina Zárraga in Spanish. Each story is accompanied by a lovely woodcut illustration by the Chilean artist Jimena Saiter. The grand launch of Hai kur mamashu chis took place at the de Young Museum of Fine Art in San Francisco in September, 2013, with tour dates following across the country through winter 2013 and the spring of 2014. Hai kur mamashu chis is available directly through me, as well as on Amazon, and through your local book store. Please contact me directly to order a signed copy. The Yagán of Patagonia, the southernmost indigenous group in the world, were a canoe-going people. Their traditional territory is the cold and turbulent waters south of Tierra del Fuego, and the islands southward all the way to Cape Horn. The Patagonian landscape is reminescent of North America’s Pacific northwest. Yagán territory is the same latitude south of the equator as Sitka, Alaska, is to the north. Narrow canals and inlets cut the steep forested shores into a jigsaw puzzle of peninsulas and islands. Snow-capped mountains hang overhead, spawning glaciers which descend to the sea and feed icebergs into the fiords. 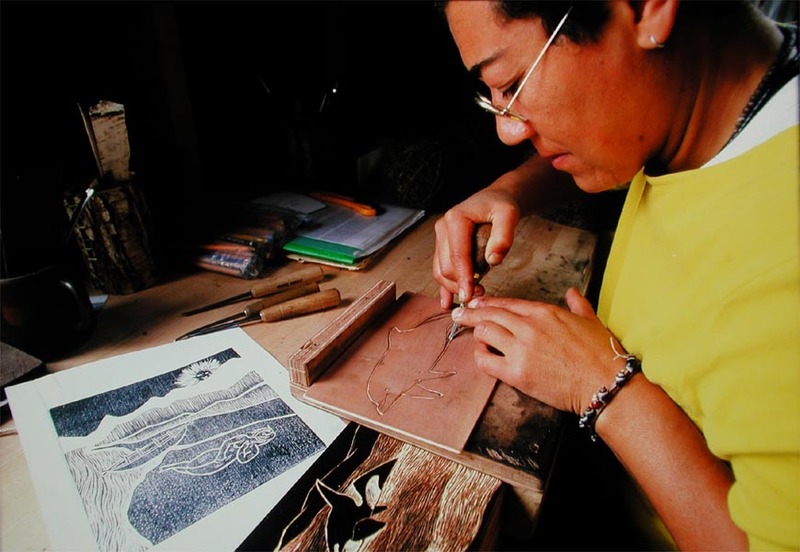 It was through thes e waters that, for thousands of years, the Yagán – fishers, hunters, nomadic families – paddled tiny canoes stitched together from strips of bark of the coigüe tree. They slept in huts covered with sea-lion skins or branches, which they could construct quickly upon stopping at a beach for the night. They carried their fire in their canoes with them, smouldering upon a bed of mud and sand. The women typically paddled the canoes, and swam naked in the frigid waters to anchor the canoes in kelp beds, and gathered foods such as berries and shellfish. The men were typically the hunters, going after sea-lions or fish from the canoes, or hunting in the hills for guanaco, a type of wild llama. 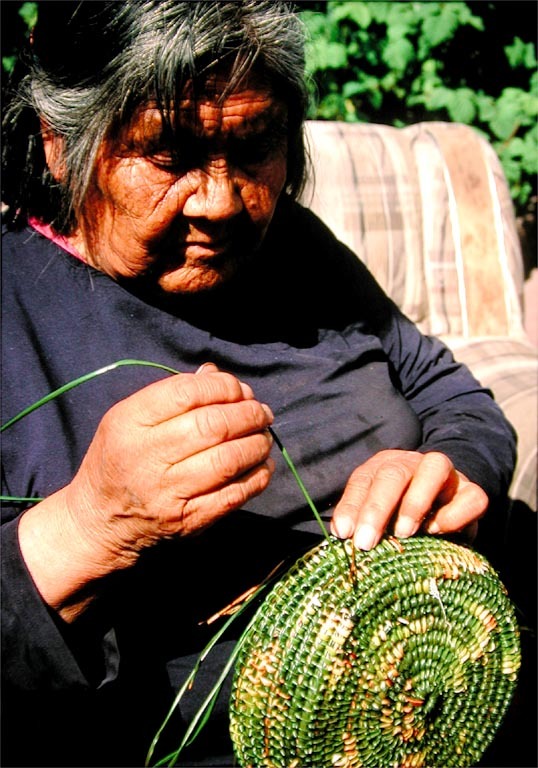 The Yagán language is rich in its range and complexity. Cristina Calderón is its only remaining native speaker, and she is also the last p ure-blooded member of the Yagán people. Today, an international border passes through the core of traditional Yagán territory, down the centre of the Beagle Channel. 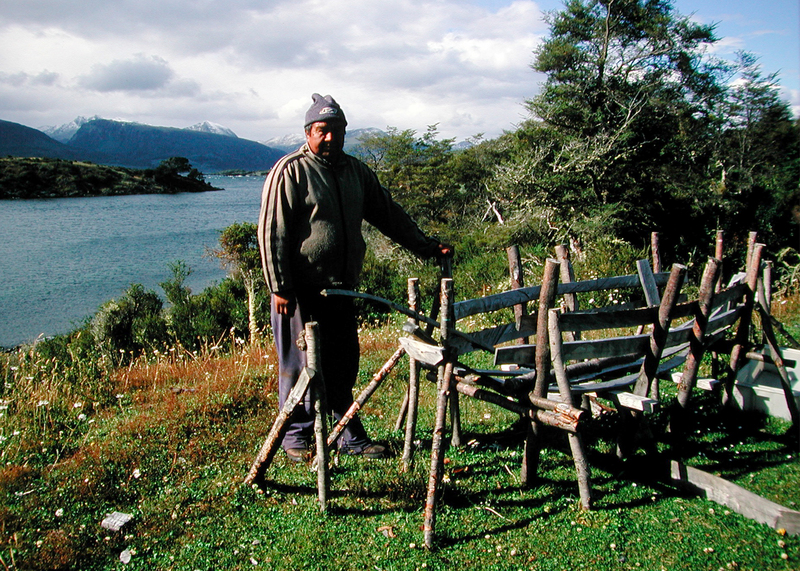 A few dozen descendents of the Yagán people (sometimes also refered to as Yámana) live on the Chilean side of that border, on Navarino Island, in a small village called Ukika.